This article is about the literary critic. For the geneticist, see Edmund Beecher Wilson. For the New Jersey Attorney General, see Edmund Wilson, Sr. For the Canon of Windsor, see Edmund Wilson (physician). Edmund Wilson (May 8, 1895 – June 12, 1972) was an American writer and critic who notably explored Freudian and Marxian themes. He influenced many American fiction-writers, including F. Scott Fitzgerald, whose unfinished work he edited for publication. His scheme for a Library of America series of national classic works came to fruition through the efforts of Jason Epstein after Wilson's death. Wilson was born in Red Bank, New Jersey. His parents were Helen Mather (née Kimball) and Edmund Wilson, Sr., a lawyer who served as New Jersey Attorney General. Wilson attended The Hill School, a college preparatory boarding school in Pottstown, Pennsylvania, graduating in 1912. At Hill, Wilson served as the editor-in-chief of the school's literary magazine, The Record. From 1912 to 1916, he was educated at Princeton University. Wilson began his professional writing career as a reporter for the New York Sun, and served in the army with Base Hospital 36 from Detroit, Michigan, and later as a translator during the First World War. His family's summer home at Talcottville, New York, known as Edmund Wilson House, was listed on the National Register of Historic Places in 1973. Axel's Castle: A Study in the Imaginative Literature of 1870–1930 (1931) was a sweeping survey of Symbolism. It covered Arthur Rimbaud, Auguste Villiers de l'Isle-Adam (author of Axel), W. B. Yeats, Paul Valéry, T. S. Eliot, Marcel Proust, James Joyce, and Gertrude Stein. In an essay on the work of horror writer H.P. Lovecraft, "Tales of the Marvellous and the Ridiculous" (New Yorker, November 1945; later collected in Classics and Commercials), Wilson condemned Lovecraft's tales as "hackwork". Edmund Wilson is also well known for his heavy criticism of J. R. R. Tolkien's work The Lord of the Rings, which he referred to as "juvenile trash", saying "Dr. Tolkien has little skill at narrative and no instinct for literary form." "In these wonderful closing pages [of Finnegans Wake], Joyce has put over all he means with poetry of an originality, a purity and an emotional power, such as to raise Finnegans Wake, for all its excesses, to the rank of a great work of literature.". "The striking thing about Mencken's mind is its ruthlessness and rigidity… Though one of the fairest of critics, he is the least pliant...."
Wilson had many marriages and affairs. He wrote many letters to Anaïs Nin, criticizing her for her surrealistic style as opposed to the realism that was then deemed correct writing, and ended by asking for her hand, saying he would "teach her to write", which she took as an insult. Except for a brief falling out following the publication of I Thought of Daisy, in which Wilson portrayed Edna St Vincent Millay as Rita Cavanaugh, Wilson and Millay remained friends throughout life. He later married Elena Mumm Thornton (previously married to James Worth Thornton), but continued to have extramarital relationships. After a settlement, Wilson received a $25,000 fine, rather than the original $69,000 sought by the IRS. He received no jail time. In his book The Cold War and the Income Tax: A Protest (1963) Wilson argued that, as a result of competitive militarization against the Soviet Union, the civil liberties of Americans were being paradoxically infringed under the guise of defense from Communism. For these reasons, Wilson also opposed involvement in the Vietnam War. Selected by President Kennedy to receive the Presidential Medal of Freedom, Wilson, in absentia, was officially awarded the medal on December 6, 1963 by President Johnson. Wilson's view of Johnson was decidedly negative. Historian Eric F. Goldman writes in his memoir The Tragedy of Lyndon Johnson that when Goldman, on behalf of Johnson, invited Wilson to read from Wilson's writings at a White House Festival of the Arts in 1965: "Wilson declined with a brusqueness that I never experienced before or after in the case of an invitation in the name of the President and First Lady." 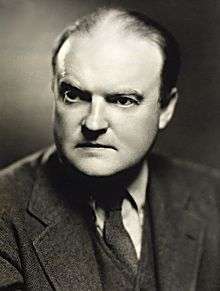 "Edmund Wilson regrets that it is impossible for him to: Read manuscripts, write books and articles to order, write forewords or introductions, make statements for publicity purposes, do any kind of editorial work, judge literary contests, give interviews, conduct educational courses, deliver lectures, give talks or make speeches, broadcast or appear on television, take part in writer's congresses, answer questionnaires, contribute to or take part in symposiums or 'panels' of any kind, contribute manuscripts for sales, donate copies of his books to libraries, autograph books for strangers, allow his name to be used on letterheads, supply personal information about himself, supply photographs of himself, supply opinions on literary or other subjects"
Wilson, Edmund (1921), Wallace Stevens and E.E. Cummings . I Thought of Daisy, 1929. Wilson, Edmund (1946), Memoirs of Hecate County, Garden City, NY: Doubleday . ↑ National Park Service (2009-03-13). "National Register Information System". National Register of Historic Places. National Park Service. .
↑ Wilson, Edmund (biography), Penn State University (PSU) . ↑ "Wilson, Edmund", Literary map, PSU . ↑ Stossel, Scott (November 1, 1996), "The Other Edmund Wilson", The American Prospect, But this has not prevented writers and scholars from trying in recent years to elevate Wilson to what they claim is his rightful status as this century's preeminent American man of letters. ↑ Wilson, Edmund (April 14, 1956), "Oo, Those awful Orcs! : A review of The Fellowship of the Ring", The Nation, retrieved March 15, 2012 . ↑ Wilson 1952 in Wilson 2007a, p. 505. ↑ Wilson 1950 in Wilson 2007b, pp. 647–50. ↑ Wilson, Edmund (1944), Kay Boyle and The Saturday Evening Post , in Wilson 1950, in Wilson 2007b, p. 575. ↑ Wilson 1921 in Wilson 2007a, p. 50. ↑ Wilson, Edmund (1931), James Joyce in Wilson 2007a, pp. 787–91. ↑ Wilson, Edmund (1941), The Wound and the Bow, p. 271 . ↑ Wilson, Edmund (1921), HL Mencken in Wilson 2007a, p. 858. ↑ "1, 2", The Wound and the Bow, University Paperbacks, 1941, cat# 2/6786/27 . ↑ Berlin, Isaiah (April 12, 1987). "Edmund Wilson Among the 'Despicable English'". The New York Times. Retrieved June 24, 2012. ↑ Fitzgerald, F. Scott (April 1936). "The Crack-Up". Esquire. Retrieved 2014-03-10. 1 2 Alexander Theroux, "On the Cape, vows rewritten: Son of Wilson, McCarthy recounts an unhappy marriage", Boston.com, January 25, 2009. Retrieved October 29, 2016. ↑ Goldman, Eric. "The Tragedy of Lyndon Johnson". Amazon. Retrieved 2012-08-20. ↑ Gillispie, Valerie, ed. (June 2008). "Guide to the Center for Advanced Studies Records, 1958–1969". Wesleyan University. Retrieved 2012-08-20. Wilson, Reuel (Winter 2004), "Edmund Wilson's Cape Cod Landscape", Virginia Quarterly Review . Photo, Find a grave .